With social media becoming a content, news, and shopping source. It is important to start syndicating your website's content to some of these sources. Post to the top social media sites can give your site a boost in traffic and help your overall SEO strategy. Facebook has become a regular page for most users on a daily basis. It gives them personal updates along with news. 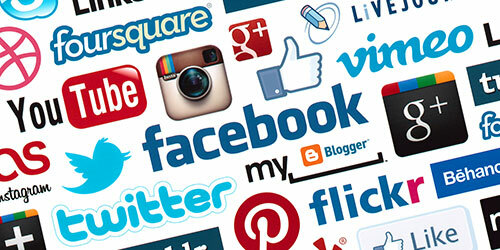 After seeing why Facebook is great for your website, it has become the most popular social media site in the world. With Facebook the more people that like your page, the more opportunities you get. You can share your content with your them and if they like it, their followers see it. If you have a budget, you can take advantage of their PPC marketing engine. YouTube is just about your only option for video social media. It is a leader in not only users but in functionality and technology. You can use YouTube to reach out to your current or new users. You can do this by creating product reviews, newscasts, informational, or parody type videos. This has become a great marketing tool, that companies spend huge money on YouTube creation. Though many speculated that Twitter’s popularity would wane. The truth is, it is still around and kicking and probably won’t be going anywhere for a while. Twitter is an online social networking and "microblogging". Perfect for quickly updating your users, clients, and/or customers to links, news, and information. Additionally, it’s a great way to connect to users and interact with them in a brief and concise way. This is perfect for our "want everything right now" world. Understanding and using things like trending topics and hashtags. Is a great way to discover and connect to new users, readers or customers as well. If your business has a physical location, open to customers. You have to have a Google Places. There isn't any excuse. This is a huge opportunity not only search results but for geo location map searches. Google Places is a free listing service for businesses with a physical location. Your address, website, and phone number are available to view by those searching in your area. It will undoubtedly one day replace phone books. On Google Places page there are also reviews. This is where your customers can leave you feedback. In return, you can respond to any customers comments or complaints. Remember that all of this is viewable to the public. If you have a site that is image heavy like apparel. You need to look into Pinterest. Pinterest is an image sharing platform that is a never ending of pictures of your interests. Pinterest has been huge for apparel. Showing how clothes coordinate and how to combine for outfits has huge user interest. All of the major brands in the U.S. are currently using it and continues to grow worldwide. Which all have their place and time. One note is to only use the ones that you have time for. It looks bad for your business to have a social media platform that isn't being used. Always allocate some time toy your social media accounts. Use this time to increase your presence and interact with your followers.